Whether you’re walking the hallways at NorthBay Medical Center, NorthBay VacaValley Hospital, or visiting a physician at one of our primary care facilities, it’s not hard to find a veteran. There are scores of them working at every one of NorthBay Healthcare’s six campuses in Fairfield and Vacaville. Of our 2,600 employees, more than 200 boast military affiliations, most in the past, but some on active duty or in the reserves. And when it comes to physicians and providers, there are scores—in our primary care and specialty care practices, and in our hospitals, who have served their country, and now are serving our patients. This issue of Wellspring is dedicated to them, and to the men and women who serve in all branches of the military. Its timing is no coincidence. With November comes Veterans Day, and that’s the perfect opportunity to not only thank them for their service, but to salute Travis Air Force Base, which is celebrating its 75th anniversary this year, and David Grant Medical Center, which is celebrating 30 years at its current location. There’s the occupational health physician who served as a medical advisor to NASA. The podiatrist who deployed twice to the Middle East as well as Africa, during the Somali conflict. The surgeon who worked alongside the “Godfather of Trauma Surgery,” at the Army’s busiest trauma hospital in Germany. 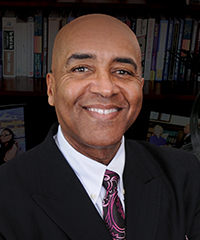 The pediatrician, who was offered leadership opportunities early in his career. The anesthesiologist who learned how to manage a team and deliver care in the back of a flying, vibrating C-130. The volunteer who now runs a grief support group for veterans. These are just a few of our many outstanding employees, providers and volunteers who have served. Please join us, as we thank all our veterans for all that they have done and continue to do for our community and for our country.